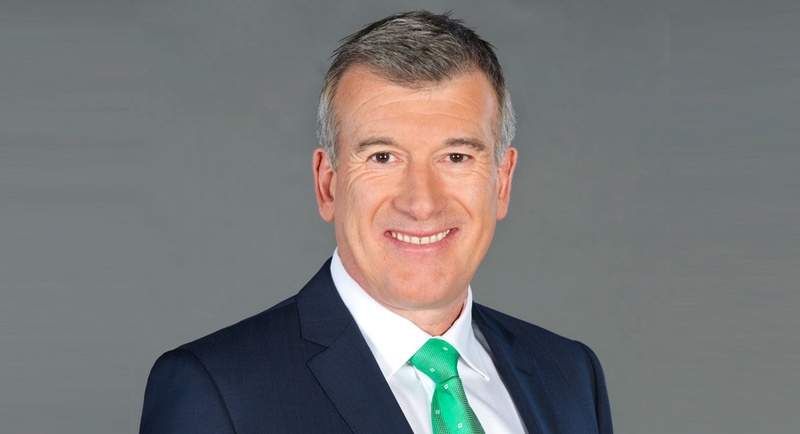 Network Ten has announced former Melbourne news presenter Stephen Quartermain (pictured) is returning to TEN Eyewitness News First At Five Melbourne as sports presenter. 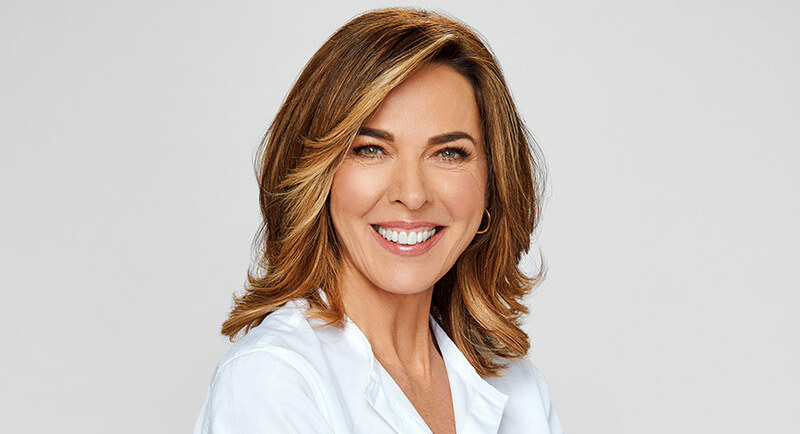 From Monday July 23, Quartermain will join award-winning journalist and presenter Jennifer Keyte and weather presenter Mike Larkan to deliver all the latest local, national and international news, sport and weather to Melbourne audiences. The network says the return of Quartermain rounds out an already exceptionally trustworthy and highly credible lineup of presenters making TEN Eyewitness News First At Five Melbourne the home of the finest presenting team in the state. Network Ten’s network director of news content Ross Dagan said: “Stephen Quartermain’s experience in covering sport in Melbourne is unmatched. It’s in his DNA and we are delighted that he will present such an important part of our Melbourne bulletin. “His return to the sports desk gives TEN Eyewitness News First At Five the most experienced presenting lineup in Melbourne. Along with Jennifer Keyte and Mike Larkan, we have extraordinary depth and ability to deliver on the news, sport and weather coverage that matters to the city and the state. “We are looking forward to working with Quarters to leverage his sporting expertise not just in Melbourne, but across the network,” Dagan said. One of the biggest challenges facing program directors today is catering to an ageing radio listenership. This is especially the case for Nova Sydney’s PD Ben Latimer. The station pitches itself to the younger demos. 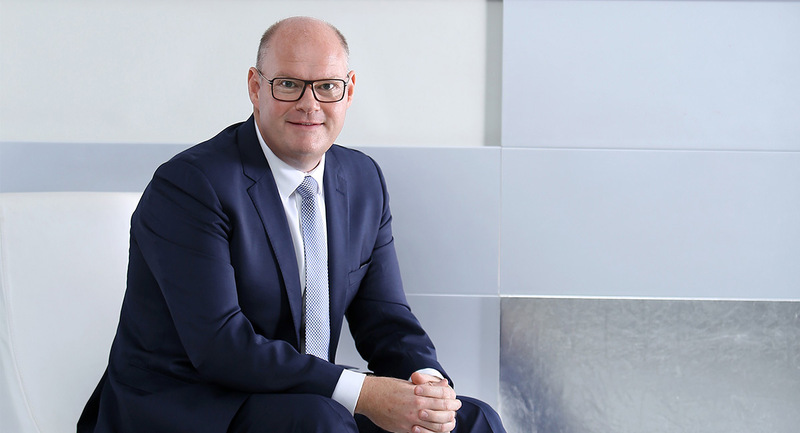 Latimer stepped into his current role at Nova in 2017 when Sarah McGilvray decided to discontinue in the position following her return from maternity leave. “She ran a pretty tight ship,” Latimer said. “You do feel the pressure of the job, but it’s a really healthy, invigorating and challenging pressure. Bauer Media has launched a new campaign called No Gender Selective Tax (NoGST). 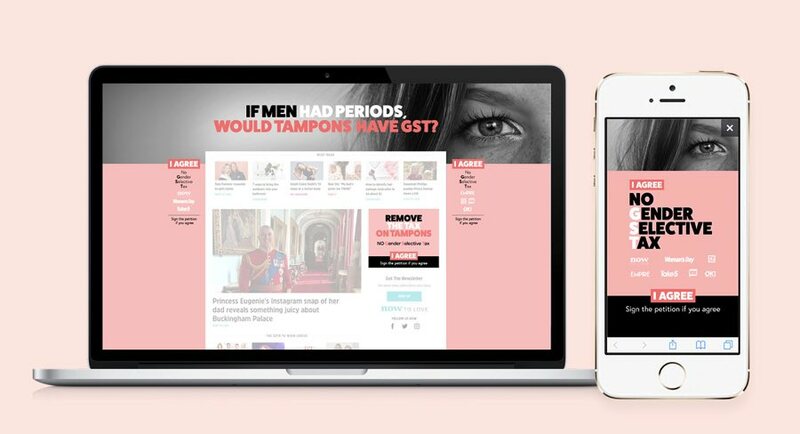 The new campaign is a major cross-brand initiative to remove the Goods and Services Tax (GST) from the price of tampons, pads and sanitary items for all Australian women. 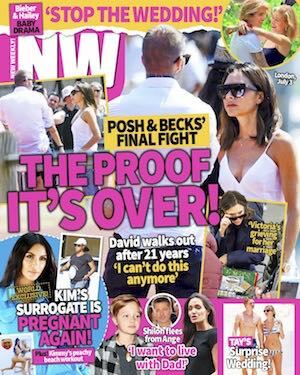 Bauer Media brands such as Elle, The Australian Women’s Weekly, Cosmopolitan and Woman’s Day, as well as others from the Trader Group, have united to influence a legislative change. 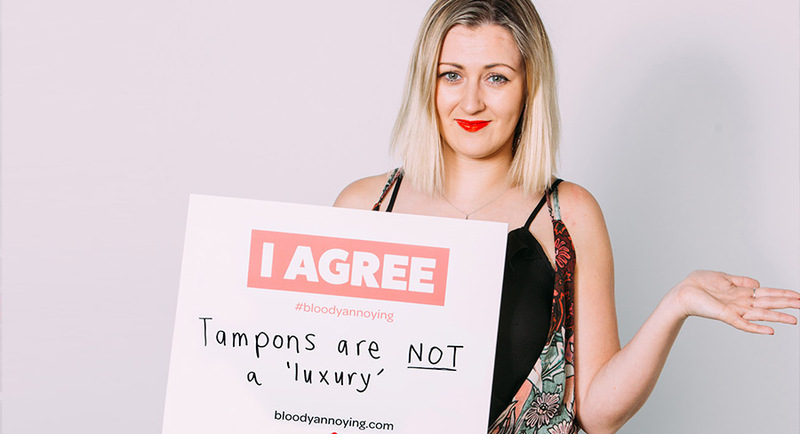 Consumers are encouraged to sign the petition at bloodyannoying.com if they wish to join the campaign. Bauer Media’s insights-led commercial storytelling division, Story54, created the NoGST campaign in collaboration with communications and advocacy experts Collins Gartrell. The No Gender Selective Tax campaign is a part of Bauer Media’s corporate purpose to be the champion for Australian women, and its promise to publish 10 million words by 2019 towards a more equal future for women. The NoGST campaign launches today across Bauer Media’s print, digital and social media channels, reaching 9.2 million Australians. It is intended to be the first in a series of Bauer Media campaigns to create change and a more equal future for Australian women. 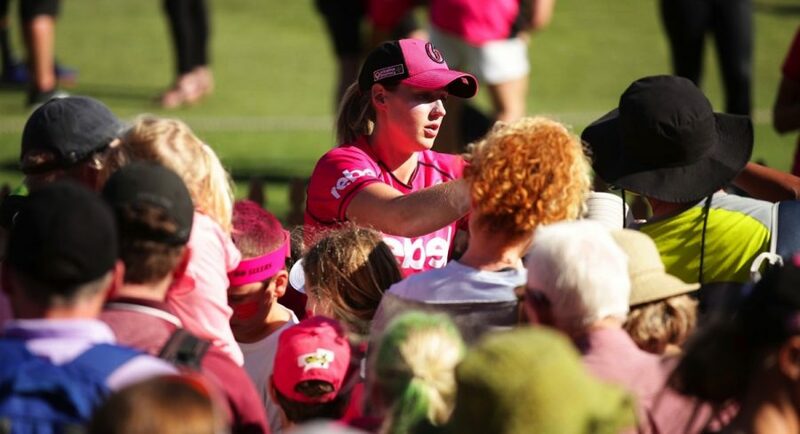 Cricket Australia has released the schedule for the fourth season of Women’s Big Bash League. The 2018-19 season of WBBL will feature three festival weekends to start the season before returning to a more traditional fixture during the summer school holidays. The first four matches of the season will be played on December 1 and 2 at the newly refurbished CitiPower Centre at Junction Oval. All games from the opening weekend will be broadcast live on Fox Sports, Seven and ABC Radio. The second festival weekend will take place from December 7 to 9, featuring eight matches from four locations. The final festival weekend on December 15-16 will feature seven matches from three locations. There will be 40 matches played over 40 days once the school holidays begin on December 21. This includes the first ever WBBL night match at Optus Stadium, between the Perth Scorchers and Brisbane Heat, a New Year’s Eve showdown between the Adelaide Strikers and Sydney Sixers at Adelaide Oval, a Christmas Eve match between the Sydney Thunder and Hobart Hurricanes at Spotless Stadium, and the first Melbourne Derby on the afternoon of December 29 at Marvel Stadium. In a League first, WBBL finals will be standalone fixtures, guaranteeing the top ranked team will win the right to host at their home stadium. Both semifinals will take place on January 19 at the one location. The Final match will be played the following weekend on Australia Day, January 26. The regular season of 2018-19 WBBL will feature 56 matches, in addition to two semifinals and the final. Fox Sports and Seven will broadcast 23 games live, which is almost double the number of televised matches from last season. ABC Radio will also cover WBBL live across the country. Cricket Australia will broadcast the remaining WBBL matches on cricket.com.au and on the CA Live App. Head of Fox Sports, Peter Campbell, said: “Fox Sports is gearing up to deliver the biggest summer of women’s cricket ever. Australia v New Zealand T20s and the World T20 Cup kick things off before the WBBL launches into action. Cricket Australia’s head of Big Bash League Kim McConnie said: “Our new landmark partnership with Fox Sports and Seven West Media has enabled us to almost double the number of broadcast matches to 23, which will help us on our journey to be the leading sport for women and girls in Australia. Medium Rare Content Agency has won a tender from Jetstar Airways to publish its monthly inflight magazine and supply sales services for Australia and New Zealand. The custom publisher will redesign and relaunch Jetstar magazine in October 2018 and will also publish Jetstar Asia’s bimonthly magazine from the November/December 2018 issue. The Jetstar magazine reaches 20 million passengers per year. In addition to the print editions, Medium Rare will work closely with Jetstar’s content team to create dedicated stories and videos for the airline’s digital channels such as Jetstar.com and targeted EDMs. 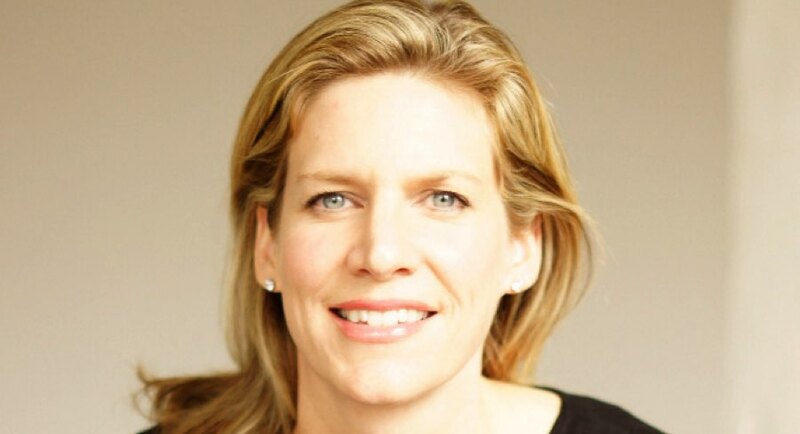 Jacqueline Lunn has been appointed as editor of all Jetstar content platforms to be produced by Medium Rare. She has previously worked for The Sydney Morning Herald, The Australian, QantasLink’s Spirit, InStyle, marie claire and mamamia.com.au. Medium Rare will handle media sales for all platforms, including ambient advertising. Medium Rare Content Agency MD Gerry Reynolds said: “We’re delighted to be given the opportunity to create a new-look Jetstar magazine as well as inspirational and practical digital content. And we look forward to providing advertisers with many cross-platform opportunities to reach a diverse and engaged audience that includes millennials, families and small business owners. Network Ten has announced the first sponsors for the new season of Australian Survivor. Holden will be returning as a sponsor for its third straight year, and will be joined by BCF, Kellogg’s and Parmalat. In 2018, Australian Survivor returns on Wednesday August 1 with a premise the game has never seen before: Champions v Contenders. The new format will feature 12 everyday contestants pitted against 12 players who are champions in their field, be it mental, physical or social. Jury Villa, which takes viewers behind the scenes and follows eliminated contestants who comprise the final jury, returns this season. The online extra will continue to be exclusively available on tenplay. Holden’s sponsorship extends across broadcast, tenplay and the official Survivor social channels. It includes a Network Ten-produced TVC for Holden fronted by series one favourites Lee Carseldine and El Rowland, which will air throughout the series. Tenplay viewers will also have the chance to win a Holden Commodore Tourer. Network Ten executive general manager revenue, client & partnerships Rod Prosser said: “The Survivor franchise both here and internationally has always been a hit with audiences, and this year’s Champions v Contenders theme brings an additional element of excitement to the mix. Tania Jones, MCN’s national director, content & brand partnerships, said: “Australian Survivor has become one of Ten’s most exciting and talked-about programs with an extremely loyal and engaged audience tuning in every night to watch. 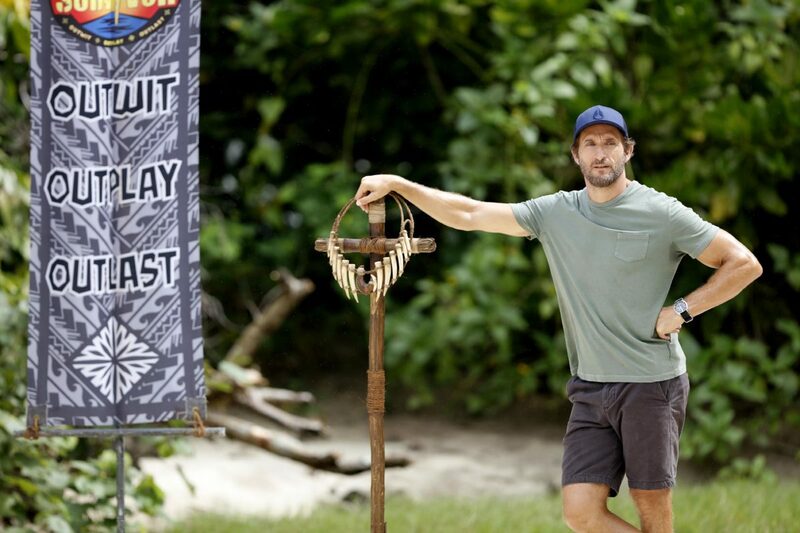 As such a unique format that’s unlike anything else on TV, Survivor has provided brands with engaging creative integration and partnership opportunities, delivering strong brand awareness and connecting with viewers across all viewing platforms. Featuring people from all walks of life, Australian Survivor will see takeaway delivery riders taking on Olympic medallists and interior designers going up against astrophysists. For 50 days, these castaways will be forced to compete against each other aiming for the same goal: to outwit, outlast and outplay each other to be the ultimate Sole Survivor. Running on little sleep, little food and possessing only the clothes on their back, just one of the castaways will survive to take out the ultimate prize of $500,000. Top Photo: Jonathan LaPaglia, Host. The Grant Broadcasters Board has recently announced several changes to its executive ranks of the family-owned company. Grant Cameron will move up to become non-executive chairman for the company and Alison Cameron, (pictured) currently the chief operating officer, will assume the CEO role. 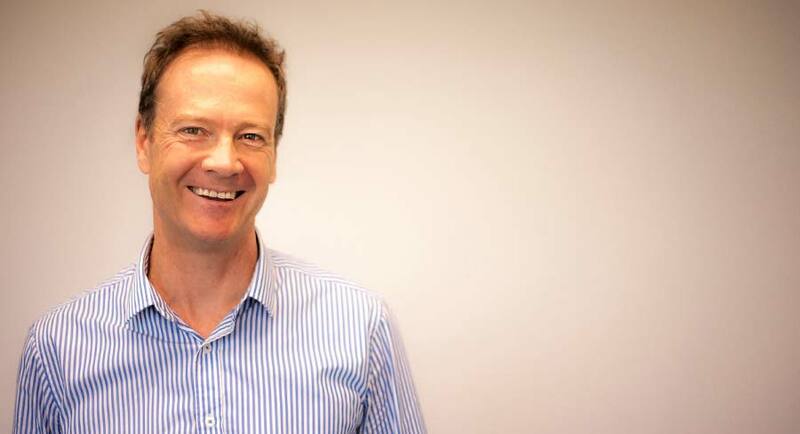 Dugald Cameron remains responsible for the family’s investment portfolio and is an executive member of the board. Janet Cameron, Grant Broadcasters’ previous long-standing chairperson and recent OAM recipient, continues to be an active board member. Recruitment for a new chief operating officer has commenced with Korn Ferry being appointed to aid the Grant Broadcasters board in filling this key management position. “This is a critical role within our organisation. We are after someone who is familiar with creative content, commercial sales, digital capabilities as well as finance and engineering. Most importantly we are after a leader who can help grow and develop our 700+ employees across Regional Australia,” said Alison Cameron. The management changes will be finalised when the new COO has been appointed and a thorough and extensive transition period has been completed. Grant Broadcasting has interests in 51 regional radio stations, it owns a sales representation company (TRSN) representing a further 70 independent radio networks and stations, publishes several local lifestyle magazines and has a significant online presence in local markets. We had a strong but not stellar Q2, ending with 130 million memberships. Membership growth was 5.2m, the same as Q2 last year, but lower than our 6.2m forecast. Earnings, margins, and revenue were all in line with forecast and way up from prior year. Internet video is growing globally and we are fortunate to be one of the leaders. In addition to succeeding commercially, we are starting to lead artistically in some categories, with our creators earning enough Emmy nominations this year to collectively break HBO’s amazing 17-year run. Streaming revenue in Q2 rose 43% year over year, driven by a 26% and 14% increase in average paid memberships and ASP (average selling price), respectively. Internationally, 4.5m net additions grew 8% year over year on broad market growth. Our broad slate of programming in Q2 highlights the diversity of programming we are providing. We debuted sci-fi action series Lost in Space, which we’ve renewed for another season. In addition, we released the second season of one of our biggest originals 13 Reasons Why, as well as Santa Clarita Diet, A Series of Unfortunate Events, Marvel’s Jessica Jones, La Casa de Papel (Money Heist), GLOW and Marvel’s Luke Cage. In original kids programming, Boss Baby: Back in Business became one of our biggest kids series ever. We continue to ramp up our production of non-English originals. This serves as another data point that our international originals can be important to specific countries and regions and also play well outside of their home markets. Late in the quarter, we launched Lust Stories, a new Indian original film, which has been a major success as our largest-watched original in percentage terms in any individual market in its first month. Sacred Games, our first Indian original series, launched on July 6 and is off to a similarly strong start. We will follow Sacred Games up in India with Ghoul on August 24. We were honoured last week with the most Emmy nominations of any network. 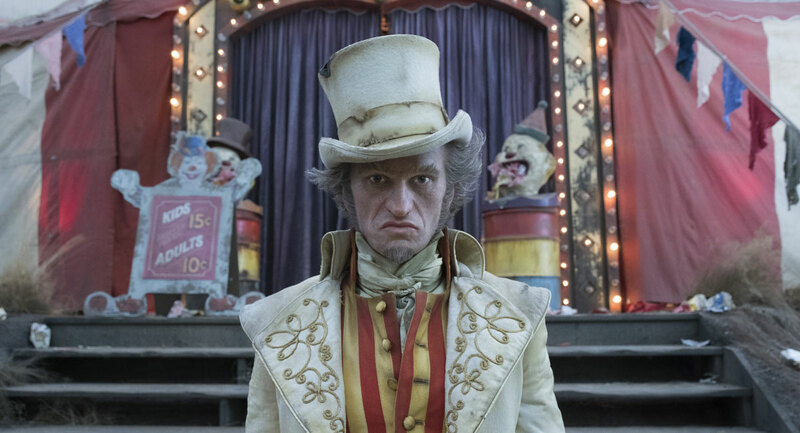 The 112 Netflix nominations include five best series and best limited series nominations and are spread across 40 different scripted and unscripted series, TV movies, limited series, documentaries, talk shows, comedy specials and series for kids. This is a testament to the fantastic creators we work with across all forms of television. We are making good progress with our original feature films. As traditional exhibition focuses increasingly on superheroes and sequels, our on-demand service allows us to serve a wide variety of tastes. We continue to invest in our mobile experience. Last week, we unveiled our Smart Downloads feature on Android for members that use our offline mode, which is particularly popular in emerging markets. Now, when members finish watching a downloaded episode, it will be automatically deleted and the next episode will be automatically downloaded. Smart Downloads works only when the device is connected to Wi-Fi so cellular data plans won’t be used and device storage won’t be affected since the last watched episode will always be deleted first before the next episode is downloaded. Members also have the option to toggle this feature on and off. YouTube and Netflix are two leading global (ex-China) internet entertainment services. HBO and Disney are evolving to focus on internet entertainment services. Amazon and Apple are investing in content as part of larger ecosystem subscriptions. Each of these firms has unique content and is striving to find the best creators from around the world to entertain its viewers. There has never been a better time to be a creator or consumer of content. We believe that consumer appetite for great content is broad and that there is room for multiple parties to have attractive offerings. We anticipate more competition from the combined AT&T/Warner Media, from the combined Fox/Disney or Fox/Comcast as well as from international players like Germany’s ProSieben and Salto in France. Our strategy is to simply keep improving, as we’ve been doing every year in the past. Marvel continues its run of hits with its second week on top of the Australian box office. Ant-Man And The Wasp holds at #1 for a second successive week. Holding at #2 for a fourth successive week is Incredibles 2. School holiday crowds have chosen the two movies as favourites with Jurassic Park dropping down the list after a monster launch. Both box office leaders suffered declines from the previous week with Ant-Man And The Wasp down 35% and Incredibles 2 down 12%. Week-on-week the box office was down 8% to $18.84m. Bucking the trend in the top five was Hotel Transylvania, which increased 7%. The only film to drop out of the top five was Ocean’s 8 which saw a decrease in revenue of 30% for a gross of $528,013. It leaves the top five with a total haul to-date of $17.23. 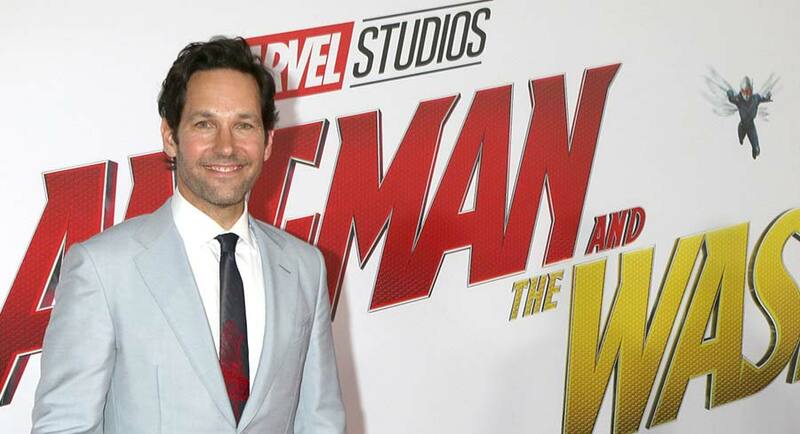 The sequel to 2015’s Ant-Man stars Paul Rudd and Evangeline Lilly which started off strong last week outperforming the original (2015) film. This weekend saw a reduction in screens from 613 to 536 and an average of $7,056 per screen. The film is close to surpassing the total Australian box office gross of $15.7 million of the original with it currently sitting at $13.08 million. The movie continues a strong five-week run in the Australian box office as it stays in the number two spot. It had the highest average per screen with $8,014 across 435 screens. This consistency in revenue has resulted in a large total gross of $39.76 million for the Australian box office contributing to a $1.15 billion worldwide box office gross. Hotel Transylvania 3: A Monster Vacation is the only film in the top five to move up in the rankings this week, taking advantage of the school holiday crowds. The film saw a 7% increase for a total of $13.86 million to date for the Adam Sandler movie. This was achieved through an average of $7,589 across 425 screens. Skyscraper is the only new film in the top five this week as it debuted in the Australian box office with a return of $3.09 million. The release is one of the lowest openings for any movie starring The Rock – Dwayne Johnson. The film earned an average of $6,737 across 460 screens, which is the lowest per screen average of the top five. Fallen kingdom dropped two spots this week as it brought in 2.66 million in its fourth week in Australian cinemas. This came across 392 screens at an average of $6,802, which brings the total box office gross to date to $31.14 million. Netflix missed its subscriber addition projections for the first time in five quarters, leading shares to tumble more than 13%, reports CNBC. The company reported second-quarter earnings after the market closed on Monday. Despite beating estimates on revenue, Netflix posted a huge miss on subscriber additions. The company added only 5.15 million subscribers, about one million fewer than forecast. Domestic additions were only a little more than half of what was projected, while it added just 4.5 million subscribers internationally. Some analysts were worried the company could not sustain its share price growth, which is over 100% year-to-date. They also raised concerns as competitors like Amazon ramp up their streaming efforts, while others like Disney and AT&T are prepared to invest in more digital content. Netflix is expected to spend up to $8 billion this year on 700 original series. Val Morgan Outdoor (VMO) has revealed its newest audience intelligence platform called DART360. It is an evolution of the company’s proprietary tool DART (Digital outdoor Audience in Real Time). 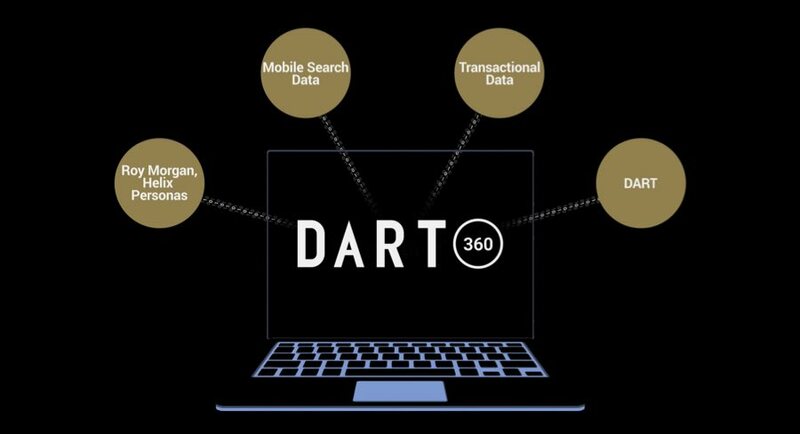 DART360 allows clients to plan and optimise their campaigns to engage active consumers across the VMO network. The architecture of the platform is a three-step process by which clients can plan, optimise and prove their campaign with one tool. Partnering with leading data providers, VMO now has access to behavioural and attitudinal insights as well as mobile search data, category transaction data and product scan data, down to the basket level. Advertisers can use DART360 to identify their target audiences and locate hotspots. The tool then optimises the VMO network connecting the dots to reveal the relationship between audience and location. DART360 has been designed to offer clients a new level of flexibility in outdoor, not locking them into packages, rather offering tailored and optimised campaign solutions. Fairfax Media and Taronga Zoo have entered into an exclusive three-year partnership, which will see the former increase support for the latter and Western Plains Zoo. Fairfax Media will provide greater editorial, commercial and marketing support to ensure the zoo’s milestone activities and key events are showcased and supported. 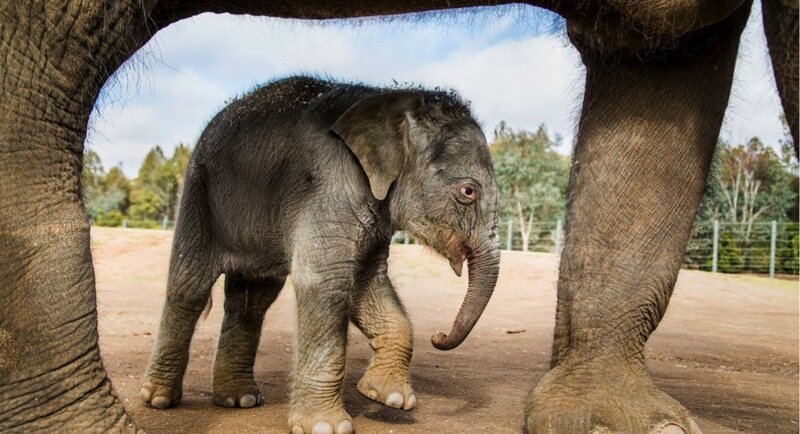 The partnership will also see Taronga Zoo grant Fairfax exclusive or first access to some of its conservation-related news stories, which will be delivered across its metro network. 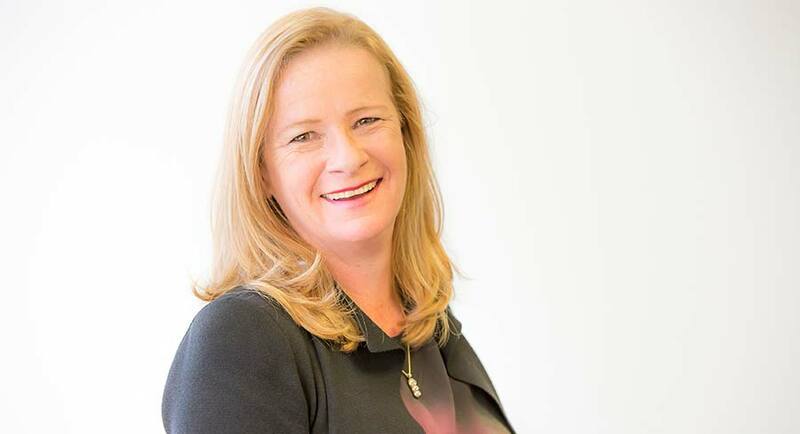 The Sun-Herald will be its key editorial partner as part of a broader revamp strategy at the title to be driven by new editor Cosima Marriner. Marriner said, “This new partnership builds upon existing partnerships and campaigns that we have with Taronga, and we look forward to rolling these out across the coming months. The groundbreaking wildlife conservation work undertaken at both Taronga and Western Plains Zoos is something we’re excited to champion – and the pictorial opportunities with their spectacular wildlife are sure to resonate with our readers, especially on a Sunday. Global consumers will spend an average of 67 minutes a day watching online video this year, up from 56 minutes last year, according to Zenith’s Online Video Forecasts 2018, published this week. By online video, Zenith refers to all video content viewed over an internet connection, including broadcaster-owned platforms such as Hulu, over-the-top subscription services like Netflix, video-sharing sites, e.g. YouTube, and videos viewed on social media. Global online video consumption grew by 11 minutes a day in 2017, and Zenith expects it to grow by an average of nine minutes a day each year to 2020. In Australia, online video is the fastest-growing channel within digital and now makes up 7% of the total digital ad market, up from 5% in 2017. Australia is among the countries with the highest penetration of online video on mobile globally – with around 87% of the total population regularly accessing the internet on their mobile devices and with 14 million consuming social media on their mobiles. High penetration and faster internet connection have resulted in 43% of online video being consumed on mobile devices. With the promise of 5G mobile networks, Zenith expects this figure to continue to grow. While growth in Australia has been strong, Zenith reports online video growth is starting to slow down. For example, from 2016 to 2017 online video grew by 58.2%. However, from 2017-2018, that growth has reduced to 34%, and Zenith expects this downward trend to continue and the market to normalise. As a result, channels such as display continue to decline. Viewing time of online video continues to increase in Australia at 8% year-on-year and we expect this to continue. Similar to 2017, Facebook and Google are the dominant platforms in terms of reach and investment when it comes to online video. 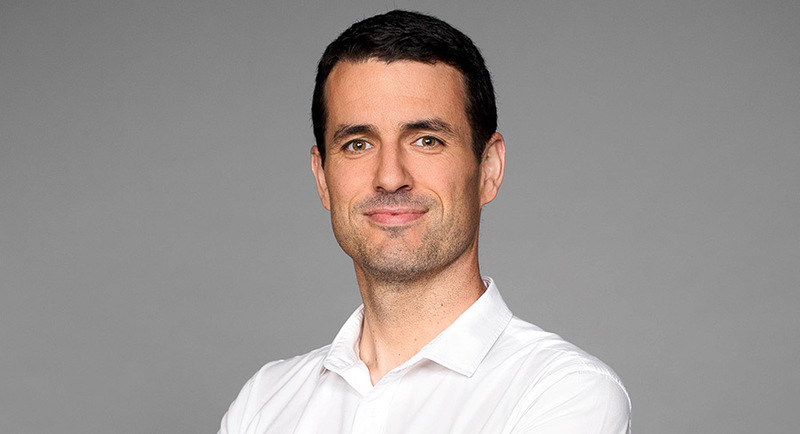 Seedooh has announced an agreement to provide its independent, out-of-home (OOH) campaign delivery reporting and verification technology platform to the media-buying agency Posterscope. The new agreement means Posterscope and its clients will have the opportunity to assess the value of complete, connected OOH delivery data – while participating in feedback that will be incorporated into the final production version of the platform, released in the last quarter of this year. “Posterscope is Australia’s only OOH specialist agency and has a highly developed understanding of how to achieve the best returns for clients in the fast-changing sector,” said Seedooh founder and CEO Tom Richter. “Posterscope has been engaged in the Seedooh journey for some time, having recognised early the importance of timely, connected data in the present and future of OOH and location-based communications. We’re delighted that Posterscope and its well-informed client base will play an important role in further developing the Seedooh buy-side solution, and benefit from being our first customers with access to complete campaign reporting data.” said Richter. Launched in July 2017, the Seedooh platform provides campaign delivery reporting for both digital and traditional OOH formats. By the final quarter of 2018, all advertisers will have the ability to access all of their verified classic and digital OOH campaign delivery data through a single dashboard on a secure platform, in near real time – via the Seedooh Agency and Advertiser platform. Already, oOh!media and soon JCDecaux utilise Seedooh’s Media Owner platform to report campaign delivery to their customers. 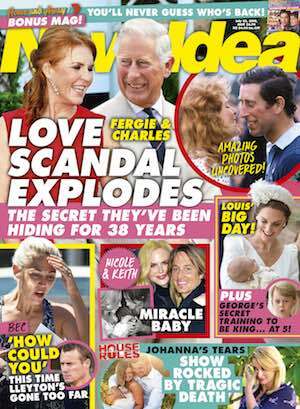 Woman’s Day, published by Bauer Media, has been taken to task on social media over its “rubbish” articles by Channel 7 television presenter and former Australian swimmer, Johanna Griggs, reports news.com.au. 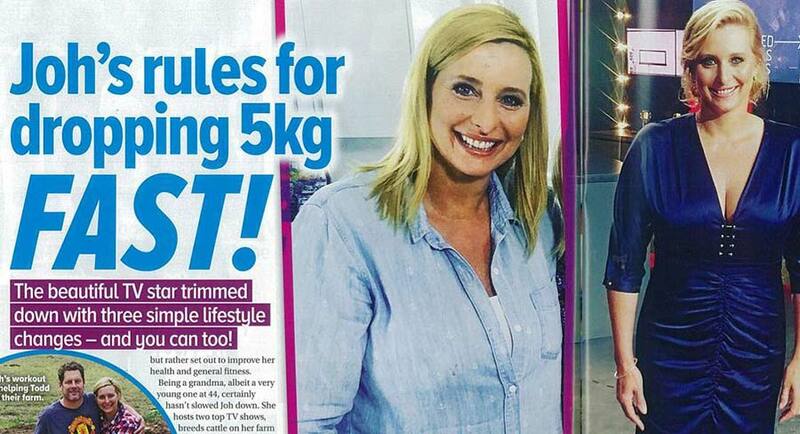 The problem, she says, is that she hasn’t lost 5kg, she never revealed any weight-loss secrets to Woman’s Day, and she doesn’t even follow the secrets they claim are hers in the article – and doesn’t even know what they mean in some cases. “Let’s count how many random, completely inaccurate things you’ve come up with this week,” she says in the post, alongside an image of the offending article, which shows a picture of Griggs, 44, in a casual, loose-fitting shirt as a “before” comparison and a picture of her in a form-fitting formal dress as an “after” comparison. Sky News and Fox Sports presenter Greg Thomson has been stood down after going on a foul-mouthed rant at a charity function, reports 2GB. Thomson was hosting the charity lunch for disability support group Inala at the Four Seasons Hotel on Friday July 13. In a video sent to Ray Hadley, the newsreader is swearing and yelling at guests before being booed and having the microphone taken off him. “You can get offended by swear words – well I don’t give a s*** because I’m going to say it. Watch the video of Thomson here. The buzz around the US drama series The Handmaid’s Tale has peaked over the past week as the last episode of the second season was broadcast around the world. The controversial final episode – screened on SBS in Australia and Lightbox in New Zealand – saw much discussion on social platforms. That traffic has pushed the show to the top of the Digital Originals charts and Overall TV charts in Australia and New Zealand this week. A week prior the series held three of the top four sports on those charts – now it is four out of four. 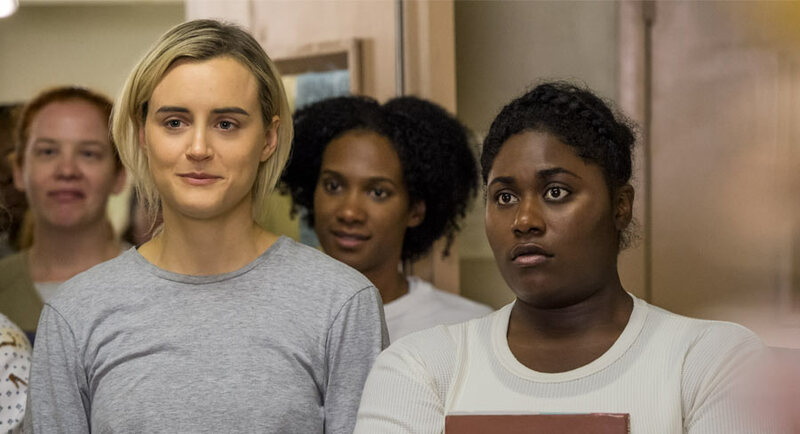 Crashing back on the Digital Original charts meanwhile is the Netflix series Orange Is The New Black. With season six to premiere on Netflix at the end of this month the series is again top 10 in Australia and New Zealand. SBS has secured something of a coup with its weekly podcast that reviews and explores themes raised by The Handmaid’s Tale. Produced by former Mediaweek deputy editor Dan Barrett, the podcast, called Eyes On Gilead, has built a following across the life of the 13-episode second season of the US drama. Several weeks ago Barrett managed to secure the showrunner for The Handmaid’s Tale, Bruce Miller, as a special guest on the podcast. He shared some insights into the making of the series and it is essential listening for fans and maybe even more so for those who have struggled with the series’ dark overtones. For the final episode in the season of Eyes On Gilead, the podcast has secured Handmaid’s Tale star Ann Dowd as a special guest. Dowd plays Aunt Lydia in the series. The actress has been in Sydney recently filming the Foxtel series Lambs Of God when she agreed to the SBS guest request. 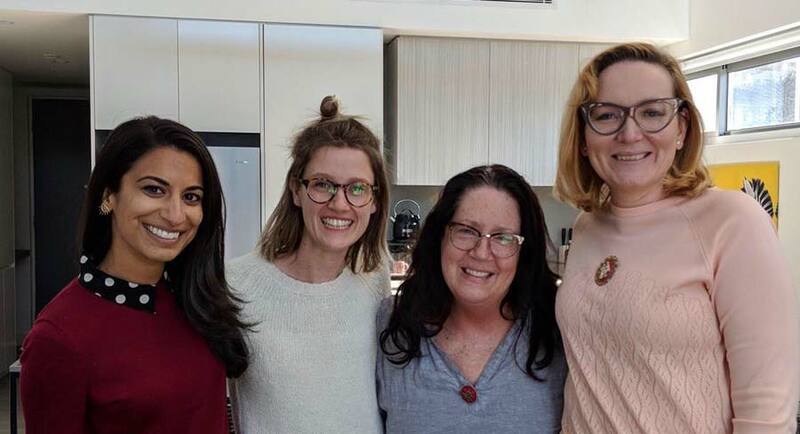 Below is the Eyes On Gilead podcast team for the final episode: [L-R] Freelance journalist Sana Qadar, SBS On Demand programmer Haidee Ireland, Ann Dowd and SBS Movies & TV managing editor Fiona Williams. 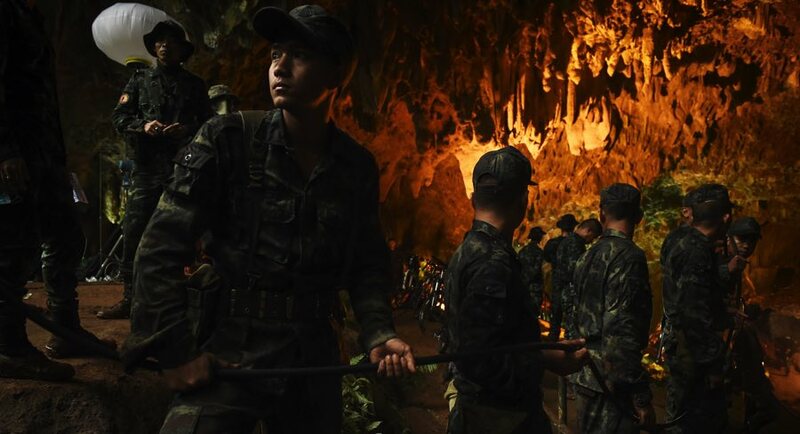 The Discovery Channel will examine the recent rescue mission of 12 young Thai soccer players and their coach in a television event, Operation Thai Cave Rescue. It will air on July 19 at 8:30pm. Operation Thai Cave Rescue will be the first documentary to explore every angle of the rescue operation that made headlines globally. Advanced negotiations have brought 100m and 200m world record holder Usain Bolt to the brink of a shock trial with the Central Coast Mariners, with the promise of a season-long contract on offer if he proves himself in a six-week audition, reports News Corp’s Tom Smithies. 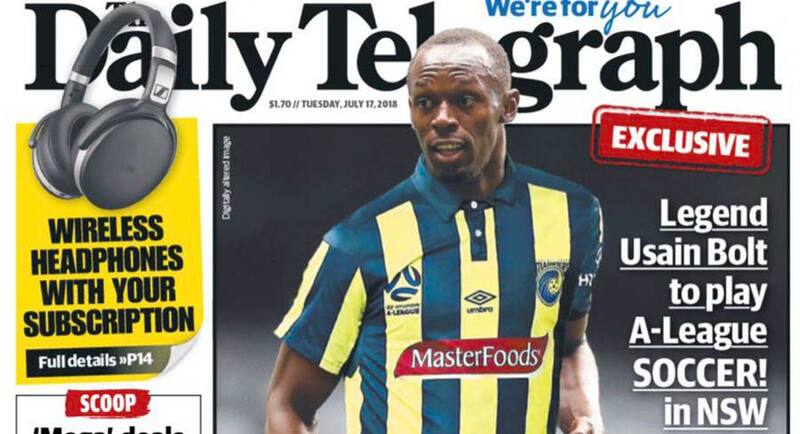 In a move that would focus the sporting world’s eyes on the A-League, three months of talks have convinced both Jamaican sprint king Bolt and the Mariners that a deal can be clinched that could transform the competition’s profile for next season. The proposed multimillion-dollar deal would be largely underwritten by the club and a network of several leading Australian companies, though it is currently unclear whether Football Federation Australia would be prepared to contribute to the deal through its marquee marketing fund.